When we talk about pampering oneself, we not only include tons of makeup products or cosmetic materials to embellish our complexion. The natural and holistic approach acquiring young, smooth and flawless skin has become the optimal requirement and for that Bellanina Facial massage at Anna Esthetics in Tampa produces best outcomes in providing the desired effects. 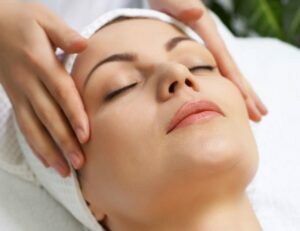 The Bellanina facelift massage is a facial muscle relaxant and pampering technique which does not use any type of mechanical hazardous technology. Instead, the experienced therapists use their expertise and artistry skills to improvise the dull and pale appearance of the face through incitement of deep underlying cutaneous and muscular structures. The facelift massage itself is like yoga to face where all the impurities flush out and nutrient filled oxygenated blood takes up the facial region. State of the art skills which include tapping, contouring strokes and acupressure that helps flushing out the lymphatics, get rid of waste and deliver nutrients properly to skin. Rubbing and kneading massage replaces the dead cells with contemporary ones. This facelift massage not only treats the apparent flaws but soothes the inner epidermis; helps tone and relax the stressed muscles. Bellanina Face massage helps the skin to heal itself after extraction. It also boosts youthful glow, improves skin condition and removes acne, cellulite, and blemishes. This process not only enhances the external beauty but tone and tightens the facial muscles which with time and gravity loosen up and form wrinkles. It tightens the cheek and jaw lines and deals with saggy bowls and fine lines on the face. Licensed therapists keenly devote minimum 30 to 45mins to perform mastery through their hands. While starting a complete session of Bellanina facelift massage, therapist make sure to loosen the client’s body, de-stress and calm down the muscles by gently stretching the arms and feet to work up the blood flow. The process starts with the deep cleansing of skin pores by using top branded facial cleansers and warm towels to soften the skin. Thorough rub and contour strokes clean cellular debris and make facial skin vulnerable to best upcoming 30 to 45 minutes massage. This process proceeds with the luxurious aromatic therapy done by essential oils and face moisturizers with crème containing the finest organic bio-extracts to nourish and rejuvenate the skin. Outcomes after the sensual facelift massage bring back the baby skin which you once had. The Bellanina massage throughout facilitates the flow of freshly oxygenated blood into the muscle fibers and restore the tissue cells. It tones and firms the facial muscles, which decreases puffiness around eyes, cheeks, and neck. Anna Esthetics provides you the best services with promising results which not only pleases our clients but make sure to acknowledge them with ideal care and compassionate facilities. *To get more information about treatment please read the post in our blog here “THE HEALING EFFECTS OF THE BELLANINA FACELIFT MASSAGE” .